The last time I saw my friend Matt Eisenfeld was bright and early on Thursday morning, February 22, 1996. We were studying in Jerusalem for our rabbinical school year in Israel. I had finished my morning davening, eaten a light breakfast, and packed my backpack, ready to spend the day at the Hebrew University library to do some research as part of my rabbinical school studies. A little after 8:00, Matt came over. He was having problems with his computer and asked me earlier that week if he could come over to use my computer to type a paper for a class we had taken together on the Song of Songs at the Schechter Institute in Jerusalem. While we were technically on a mid-winter vacation from classes, most students in our class were bogged down with final papers from the previous semester and were using the recess to work on them. Matt was particularly zealous in finishing his work from the first semester because he and his girlfriend, Sara Duker, were planning a long-awaited trip to Jordan, and he did not want too much work hanging over him at that time. Earlier that week I ran into Sara on the street. An environmentalist ahead of her time, she was on her way to a demonstration protesting the construction of a new national highway that threatened damage to vital ecosystems in Israel’s land. That’s my last memory of Sara. When Matt came over, he shared with me and my roommate a bag of fresh croissants which he had picked up at a bakery on his way to our apartment. For a few minutes, we schmoozed and caught each other up on the details of our personal lives. He then started working, and I left for the library. When I returned home, he had already gone for the day. Three days later he and Sara were gone forever, and I never saw them again. For several weeks, Matt and Sara had been talking about traveling to Jordan. The day finally came, February 25, 1996. At around dawn, they boarded a Number 18 bus, one of Jerusalem’s busiest lines. They were on their way to the Central Bus Station where they were going to catch a bus to Petra, Jordan. They never made it there. At approximately 6:45 AM, as the bus was winding its way down Jaffa Road near the Central Bus Station, a Hamas terrorist detonated a bomb that killed 26 people and wounded 49. Matt and Sarah were among the dead. Later that day, a Schechter Institute professor called with the news of Matt and Sara. I can’t even begin to describe the shock and devastation I felt at that moment or for weeks and months thereafter. Their loss was not only devastating for their family and friends. It was a loss for the Jewish people and for humanity. Both were tremendously inspired and inspiring Jews who were passionate about their Jewish observance and had magnetic yet humble personalities. Matt was a graduate of Yale University, destined for a brilliant career in the rabbinate. Sara graduated Barnard College and was pursuing a career as a research biologist. Matt and Sara were idealists who put words and lofty goals into action. Sara’s quote in her high school yearbook is: “Keep both feet firmly planted in the clouds.” This speaks volumes about both her personality as well as Matt’s. They befriended a homeless woman in Morningside Heights and taught her to knit kippot, which she could sell to JTS students. They put their ideals into action. 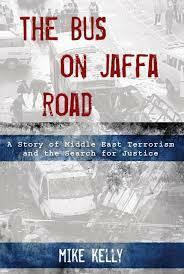 Matt and Sara’s story is now beautifully told in the new book The Bus on Jaffa Road: A Story of Middle East Terrorism and the Search for Justice, by Mike Kelly. The author is a renowned author and columnist for the Bergen Record in Northern New Jersey. Sara was from Teaneck, and Kelly covered the story of Sara and Matt’s death from the beginning. Several years later, he covered 9/11 and wrote extensively on its impact in the aftermath. This led him on a personal mission to learn more about terrorism emanating from Islamic fundamentalism. He travelled around the Middle East, and he ultimately returned to the story of Matt and Sara because it encapsulates the toll of terrorism on the families of its victims. The suicide bus bombing on February 25, 1996, that claimed the lives of Matt and Sara represented a turning point in Israel’s history. The Oslo accords, signed on the White House Lawn less than three years earlier, raised much hope in the region and around the world that peace was imminent. In the aftermath of Oslo, Jordan and Israel normalized relations, and Israelis began traveling to Jordan, as Matt and Sara planned to do. There was a feeling of great optimism in the air. Much had already happened post-Oslo to raise concerns about its viability, including the Baruch Goldstein massacre of Palestinians in Hebron on Purim in 1994 and the assassination of Yitzhak Rabin in 1995 by Yigal Amir. These two attacks were carried out by Jewish extremists. As Kelly reports, Israeli law enforcement officials in the mid-1990s were more focused on cracking down on Jewish extremists. They assumed that the Palestinian Authority would crack down on Hamas and other extremists in their camp. One of the most sickening revelations from Kelly’s reporting is that Yasser Arafat, who shared the Nobel Peace Prize with Yitzhak Rabin and Shimon Peres, knew in advance of Hamas’s diabolical plan for February 25, and urged a Norwegian diplomat to stay out of Jerusalem that day. Over the ensuing months and years, the February 25 bus bombing yielded other developments of global consequence. It factored into Shimon Peres’s loss to Benjamin Netanyahu in elections three months later. It undermined the Oslo process. Most significantly, the Israeli investigation established that Hamas terror was financed by Iran and that the mastermind of this bus bombing trained in Iran. Matt and Sara’s parents, Len and Vicki Eisenfeld and Arline Duker, wanted justice. 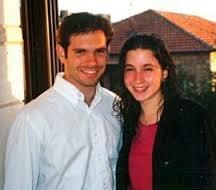 They grew close to Stephen Flatow, a New Jersey lawyer, who lost his daughter Alisa in a suicide bus bombing in Israel in 1995. Kelly reports on a confluence of diplomatic and political events that led to these families suing the Republic of Iran in US Federal District Court in order to seize frozen Iranian assets in the United States. Recently adopted Federal law allowed for such lawsuits against nations, such as Iran, that the State Department considered state sponsors of terror. The families were among the first to test this law in court (I personally testified in the Eisenfeld-Duker case in Washington in May, 2000). The Court held Iran liable and awarded significant damages to the families. The next hurdle was collecting the money. Even though President Clinton signed into law the legislation allowing families of terror victims to sue state sponsors of terrorism, the Clinton Administration resisted release of Iranian assets. They were concerned that such release would dash any chance of an eventual diplomatic rapprochement with Iran. Kelly describes the intricate maneuvering among all three branches of our government as the families sought justice. Eventually, a compromise with the administration was reached and the families received some compensation, though a fraction of the original judgment. I lived through and observed this saga up close and have always been inspired by the strength and courage of Len and Vicki Eisenfeld and Arline Duker. Mike Kelly brought this saga together in one narrative, with all of its complex twists and turns, and my admiration for the families has deepened. They fought back against Iran not for their own sake but because they wanted to do whatever they could to prevent other parents from losing children to terror. Through their efforts, all three branches of the US government put Iran on notice that their sponsorship of terror is intolerable. Despite the horrific tragedy that they endured, the Eisenfeld and Duker families affirmed life. Our observance of Sukkot and Shemini Atzeret, in its essence, is about affirming life in the midst of an uncertain, unpredictable and often violent world. All of the rituals associated with Sukkot and Simchat Torah affirm our mortality. On Sukkot we dwell in temporary booths, fragile structures that are exposed to the elements. On Shemini Atzeret, we pray that God will bless us with rain so that we don’t starve. Furthermore, we recite the Yizkor memorial prayers in memory of our loved ones who have passed away. On Simchat Torah, the day we rejoice over the gift of the Torah, we read about the death of Moses. Mortality is very much on our minds, but we affirm life. The statement zman simchateinu (the season of our joy) is a life affirming declaration, even when we confront death. We know horrible things happen in the world both through natural disasters and the evil and suffering with which human beings afflict one another. The message of Sukkot and Shemini Atzeret is “Despite it all…” Despite all of the pain and suffering in the world, we will seek to strengthen the quality of our lives. Rabbi Neil Gillman notes the ambivalence of Sukkot and Shemini Atzeret, from which the message is “Despite it all…” Despite all of the pain and suffering in the world, we will seek to strengthen the quality of our lives. In our precarious and fragile world, loyalty, trust, commitment and love are the things that give us strength. The Eisenfeld and Duker families embody all these qualities. “May God remember the souls of our brethren, martyrs of our people, who gave their lives for the sanctification of God’s name. In their memory do I pledge charity. May their bravery, their dedication, and their purity be reflected in our lives. May their souls be bound up in the bond of life. And may they rest forever in dignity and peace. Amen.” (Siddur Sim Shalom for Shabbat and Festivals, Rabbinical Assembly, 1998, p. 195).